Looks are Men’s common asset, especially when it comes to their hair. They take extra care of their hair simply because it’s what represents their image as a guy. People now-a-days love to do experimentation when it comes to the style of their hair: not to mention the variety of styles of haircuts available today. In order to cope with the ever changing generation today, one must know the different trends today and TESDA will help us in figuring those things out especially when it comes to hairstyles and haircuts for they propose another short course available to everyone. 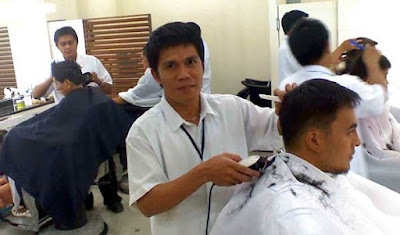 Barbering is another one of those new short TESDA courses in the Philippines that introduces and teaches us in cutting hair and performing other grooming services for the males. The time allotted for Barbering Course takes a minimum of 456 hours and an optional 200 more hours for completion. Individuals who enrolled in the Barber NC II may be required to undergo a Competency Assessment before graduation. This is applicable to any of the courses you would enroll at. A National Certificate (NC II) will be issued to those who will pass this assessment. Click here for accurate and more detailed information about the Assessment and Certification.